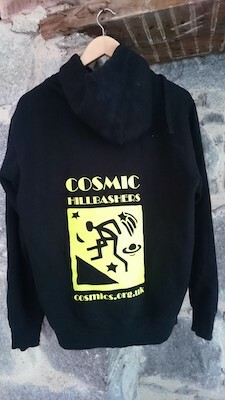 The Cosmics Hillbashers are a running club with members living in and around Aberdeen who run over hills! 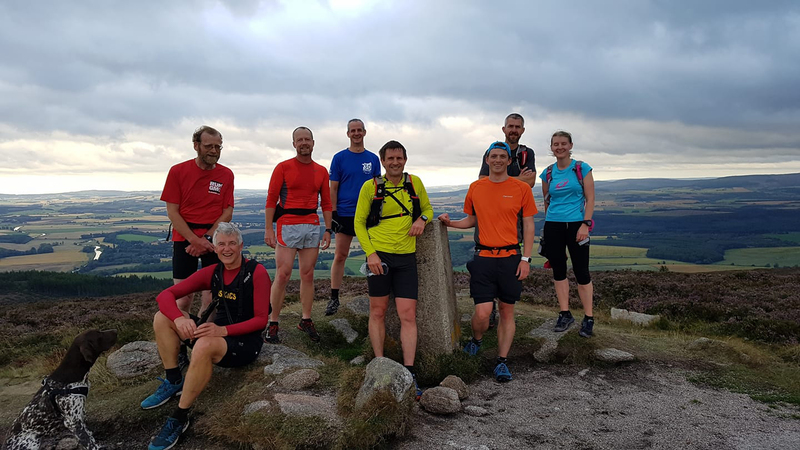 Many members compete in hill races, from short local trail and hill runs to long-distance and ultra races, whilst others just come along to enjoy the social aspect of running in our stunning countryside. Many members participate in other sports and use running as part of their general fitness training. The club welcomes new members at all levels of ability, though it is worth remembering that hill running can be more challenging than flat-running! Ewen Rennie is the club coach and organises winter training sessions - see Runs. 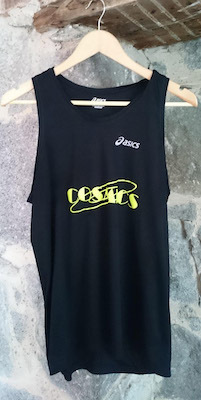 The club is affiliated to Scottish Athletics and the Scottish Hill Runners Association and is run on an informal basis by the Cosmic Committee. The club trains at King's College playing field, Aberdeen on Tuesday evenings in the winter and within an hour's drive of Aberdeen, at various hill locations in summer. If you're not familiar with hill running, read about it on Scottish Hill Runners or give one of us a call before turning up. For more information visit our Runs and Races pages. A small number of hill enthusiasts soon attracted wider interest allowing membership to grow rapidly. Two new signature races were organised by the club and were well supported. Clachnaben and Morven Hill Races were instantly popular, both receiving early recognition as Scottish Championship counters. Many more events have since been added to the Cosmic race calendar. As well as fielding high quality runners in competition both at home and abroad Cosmics gained an enviable reputation for a busy social calendar. This friendly atmosphere is still strongly supported by members today. We welcome runners who enjoy off-road hill running. Our Tuesday evening summer runs and year round Saturday runs will take you to parts of Aberdeenshire you never knew existed. We have runners of all abilities and you will find someone of your pace. Come along and try running with us before you decide to join. You may get wet and muddy sometimes, but there will be a sense of achievement. Of course there are also some social events at which you can have more time to get to know other club members. If you can make it to one of our regular runs - please come and introduce yourself. Under 18's must be accompanied by a responsible guardian. Members will also be invited to join the Cosmic Hillbashers email group. Sports Shoes - A 10% discount is offered to club members by www.sportsshoes.com/. The discount code is emailed to you monthly. Club members are eligible to compete in the Cosmic Championship with trophies for different age categories awarded at the AGM. Points are awarded for performance in each race. For 2019 the championship will be decided on the best 5 results out of 7 races. The races are El-Brim-Ick, Scolty, Ben Rinnes, Tap o’Noth, Cairn William, Mither Tap, Meall a’Buachaille. Dates and times as on the Scottish Hill Runners Calendar. Coaching sessions are held in the winter, free of charge to members, at King’s College Playing Fields, University of Aberdeen, on Tuesday evenings 6.15pm for about an hour. Changing facilities and showers are available. Sessions are led by Ewen Rennie who sends out details each week of what the training will be. Cosmics kit is available from Alan Cormack. Black vests, tee shirts and hoodie tops are available £25 each. Contact Alan Cormack for size availability kit@cosmics.org.uk. When you are ready to order please use our Kit Order Form (PDF). As the club is affiliated to Scottish Athletics, we operate under the Scottish Athletics Codes of Conduct, (PDF). All club members agree to abide to these codes when they join the club.